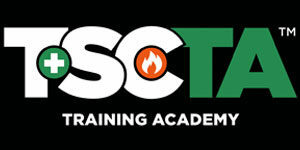 May is National Electrical Safety Month and TSC Training Academy (TSCTA) is joining with the Electrical Safety Foundation International (ESFI) to launch its annual effort to help reduce electrically-related fatalities, injuries, and property loss. This year’s campaign theme is “Decoding the National Electrical Code® (NEC) to Prevent Shock and Electrocution,” which features resources to help protect against common electrical hazards. Each year, approximately 2,400 children suffer severe shock and burns from sticking items into the slots of electrical receptacles. Additionally, an estimated annual average of 70 electrocution fatalities is associated with consumer products. Further, there are reported cases of electric shock drownings that occur in marinas and swimming pools each year. A recent study conducted by the ESFI found that in 2015, there were 134 electrical fatalities, making exposure to electrical current the 7th most common fatal on-the-job injury (source). It’s clear that regardless of our profession or experience level, sometimes we need a reminder to stay alert and aware. The ESFI has provided a variety of helpful guides and infographics for the month. Featured National Electrical Safety Month content includes an infographic titled “Electric Shock Drowning – Unknown Danger Lurking in the Water,” which uncovers the dangers of electrified water in or near marinas; “Tamper Resistant Receptacles – Childproofing Done Right,” highlights the only permanent solution to childhood shock and burn incidents from sticking items into electrical outlets; “National Electrical Code®: Your Guideline to Safety” provides background on the NEC and the importance of its timely adoption; and “Ground Fault Circuit Interrupters – Your Protection from Electrocution” gives an overview of ground fault circuit interrupter technology requirements and provides testing instructions; and “Surge Protection – Keeping your Electronics and Home Safe” explains the different levels of home surge protection. Throughout the month of May, in recognition of National Electrical Safety Month, TSCTA will be posting tips aimed specifically for workers to help keep the job sites safe year-round. Electrical safety awareness and education among consumers, families, employees, and communities will prevent electrical fires, injuries, and fatalities. For ESFI’s complete collection of National Electrical Safety Month resources and for information on using them in your community, visit www.esfi.org.